We’ve enjoyed our stay at the Chatfield State Park despite Mother Nature’s wrath. Colorado’s front range received a ton of spring rain and now with the runoff from mountain snows melting, the Chatfield Reservoir is at record high levels. The flooding is so severe that the west side of the park is closed as are all the boat ramps. To top things off, ALL sewer services within the park have been shut off. That means, no RV sewer connections, no dump station, no restroom flush toilets, and no showers anywhere in the park. Restroom buildings have been locked and lovely construction porta-potties placed onsite in lieu. And I won’t begin to mention the power outages. If there’s anything this RV life has taught us, it’s to expect the unexpected and learn to roll with the flow and adjust accordingly. And of course, a good sense of humor always helps. So although we endured a few inconveniences during our Chatfield State Park visit, we still enjoyed our stay immensely. One afternoon during one of those power outages, fellow campers were out and about checking with one another…. “Do you have power?” During such an exchange, we ended up meeting some folks from Illinois. As former Illinoisans, the conversation flowed freely. The young couple, camping in a small travel trailer, were on a two-week vacation and wanted to see and experience Colorado’s finest. Al and I did our best to answer their list of questions. We offered recommendations on roads to avoid while pulling the trailer, keeping in mind this was their first visit to the Rocky Mountains. Roads that Al and I are comfortable pulling aren’t necessarily roads we’d recommend for those less seasoned when it comes to mountain driving. One particular question that had hubby and I torn – “What is your all time favorite, must see, Colorado town?” (ah, a blog post(s) was born) Al and I agreed it was a toss-up between Crested Butte and Grand Lake. Both towns are beautiful in their own right and are very different from one another. They both share plenty of charm, character, and beautiful scenery. When we moved to Colorado in the mid-nineties, Crested Butte was the first mountain town our family of four (plus doggie) visited. I think Crested Butte will always hold a special place in my heart due to the special family moments experienced here. One memorable trip occurred three years ago when I had a crazy idea to go tent camping at Lake Irwin. 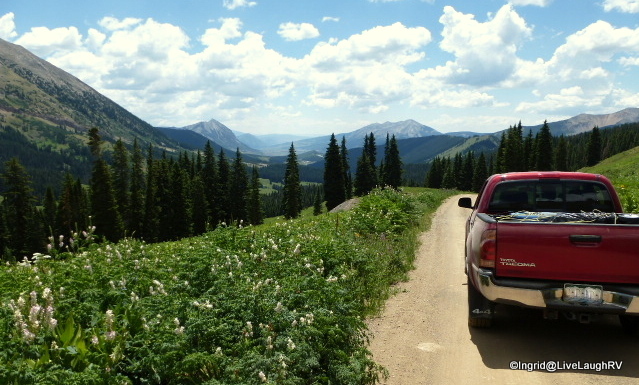 I wanted to take the little truck (Tacoma) and explore some of the 4×4 back country roads north of Crested Butte. Thus, we left the comforts of the RV behind and packed up the camping gear. Lake Irwin is located west of the town of Crested Butte near Kebler Pass and sits at an elevation of 10,000 feet. Somehow that elevation thing didn’t register properly in my mind when I set up this excursion. Since this was in the middle of summer, I knew the temperatures would still drop substantially during the night, but I never imagined they would drop below 40 degrees Fahrenheit. Thank goodness, hubby brought an extra sleeping bag to throw over us. Even poor Bear was shivering during the night until I covered him with my sweatshirt. It was mid July and the Wildflower Festival was in full swing. No coincidence there. The trip was planned with the wildflowers in mind. 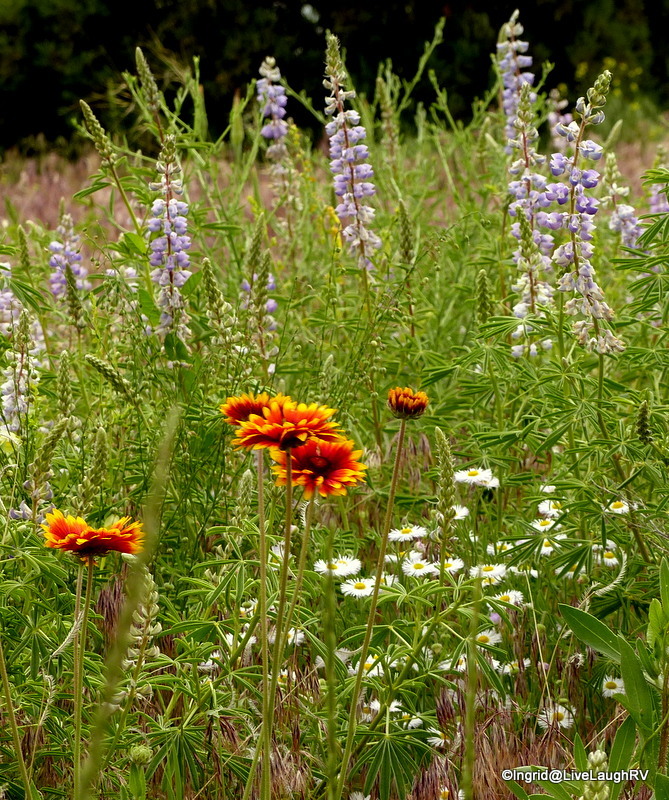 Crested Butte relishes the title of “Wildflower Capital of Colorado”. 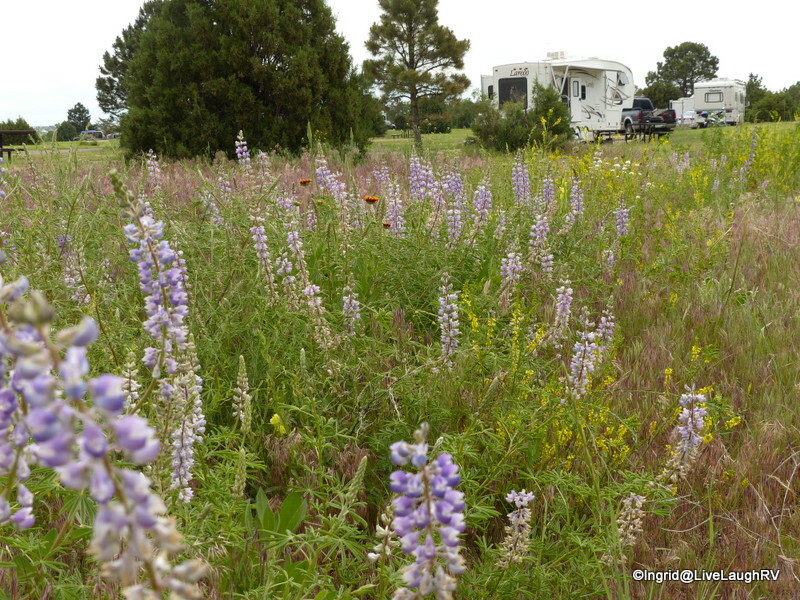 Although according to locals, the drought conditions of 2012 lead to a dismal display of wildflowers. No matter who we talked to (merchant, waitress, gas station attendant) everyone apologized for the pure showing of wildflowers and asked us to please come back next year. Regardless, the countryside was and is stunningly beautiful. 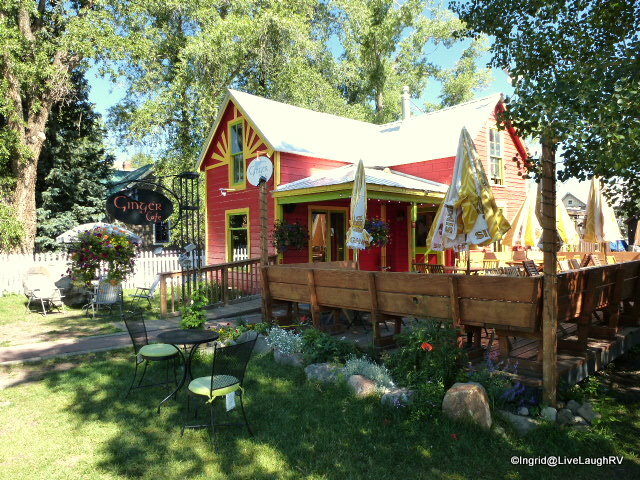 The town of Crested Butte is filled with charm and character. Mount Crested Butte is a little further up the road and this is where the ski slopes are located. Even though the 1980’s architecture at Mt. Crested Butte is lacking in style and character when compared to downtown Crested Butte, it’s still worth a stroll around and there’s new updates yearly. The back country north of Crested Butte is not to be missed, but strolling the town of Crested Butte can also be pleasurable. Of course, there was a little T-shirt shopping involved during our visit (a habit of mine). Not wanting to leave Bear in the vehicle, Bear shopped with us and was welcome in most stores. Camping? With a tent, truck camper, or small trailer there’s a bunch of options to choose: from the Blue Mesa Reservoir to Crested Butte to National Forest back country. 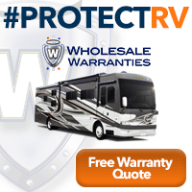 With a bigger RV the list quickly dwindles. With our modest 31 feet, we could fit into a few sites at Lake Irwin providing one such site was available. There does seem to be some free boondocking off-road 730 (Ohio Pass) just south of road 12 (Kebler Pass) which we would consider, but it does require traveling gravel roads to get there. Washington Gulch Road also has some spots. 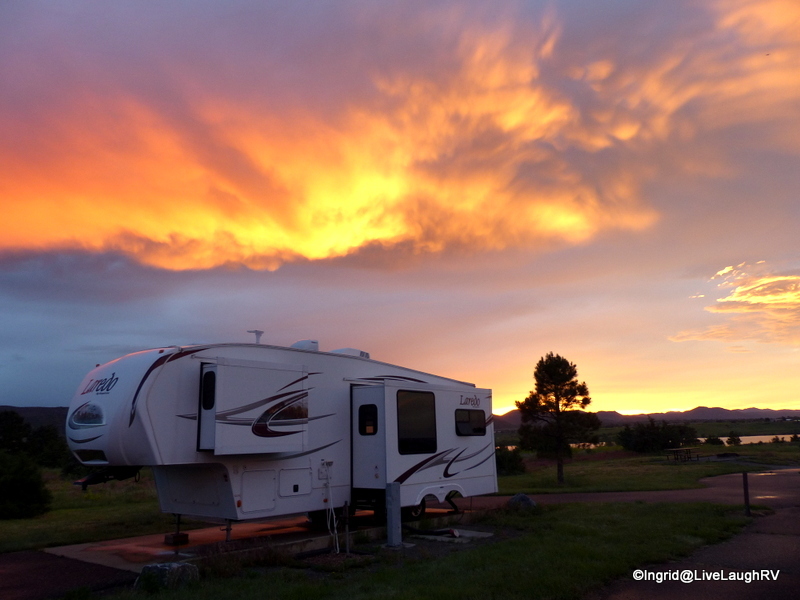 When we returned to the area in 2013 with the 5th wheel, we stayed at an RV Park off Highway 50 near the Blue Mesa Reservoir (west of the town of Gunnison). During that visit, we spent some time checking out more campgrounds. You can read about those camping options here. For any first time Crested Butte RV visitor, I would highly recommend staying in a park off Highway 50 and exploring the Crested Butte area WITHOUT the RV first. We all develop our own level of comfort when it comes to roads and parking conditions. 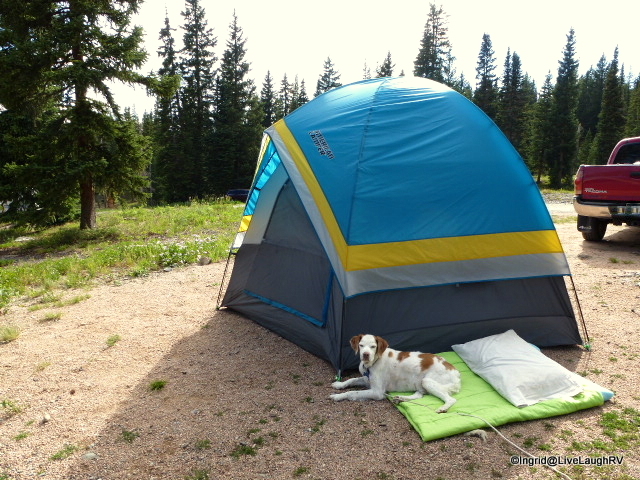 Al and I find the camping accommodations around Crested Butte to be a little more challenging than we’d like with the RV, but that’s not to say it wouldn’t work for you. The stunning scenery in this part of Colorado should not be missed. 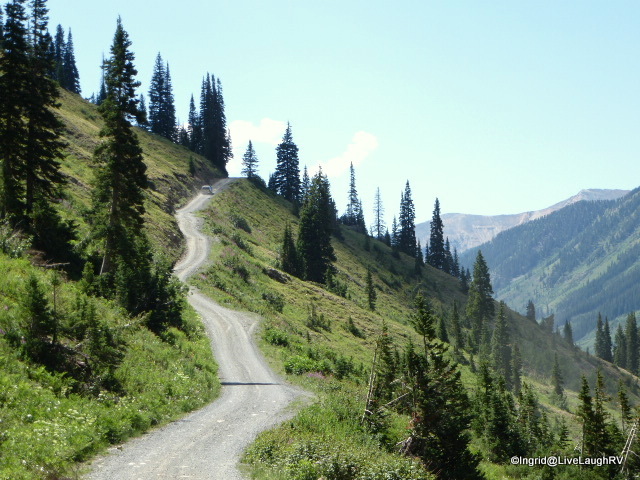 Crested Butte is definitely at the top of the list when it comes to “must see” places in Colorado….. it’s a favorite. Up next, we’ll visit Grand Lake. Top 5 favorite Colorado mountain towns. We just visited friends in Alton, IL, and the Mississippi had covered the Great River Road at Grafton. It is amazing the amount of rain falling throughout the country, Ingrid! A state we have yet to visit but you’ve made it sound interesting – looking forward to your next posts. Great photos too. Wow, that is some serious rain you have been getting. We have not seen rain for more than a week. I have not seen the internet in over a week either, until today. Love the National Parks but camping in them does leave you without other services. I am rushing to try to catch up today, then we are back to no internet for probably the next week. Hope you are starting to feel better. I am making notes of all your top five CO towns that should not be missed this fall if not next year. Im sure we have you in mind when you were writing it, thank you Ingrid. Hopefully I’ll give you a bunch of ideas for a Colorado excursion. I know you’ll enjoy a quick overview this fall on your way to the desert southwest. Hope it dries out for you… and make sure to have lots of chicken soup! These photos are stunning and I keep adding to my list of the places to go visit! Absolutely great photos of a beautiful area. Thank you and Crested Butte is absolutely beautiful. What a beautiful place. I would love to visit the wildflower festival, I bet it lives up ti it’s name this year. We are in Wyoming now and the flowers are amazing this year, from all the spring rain. 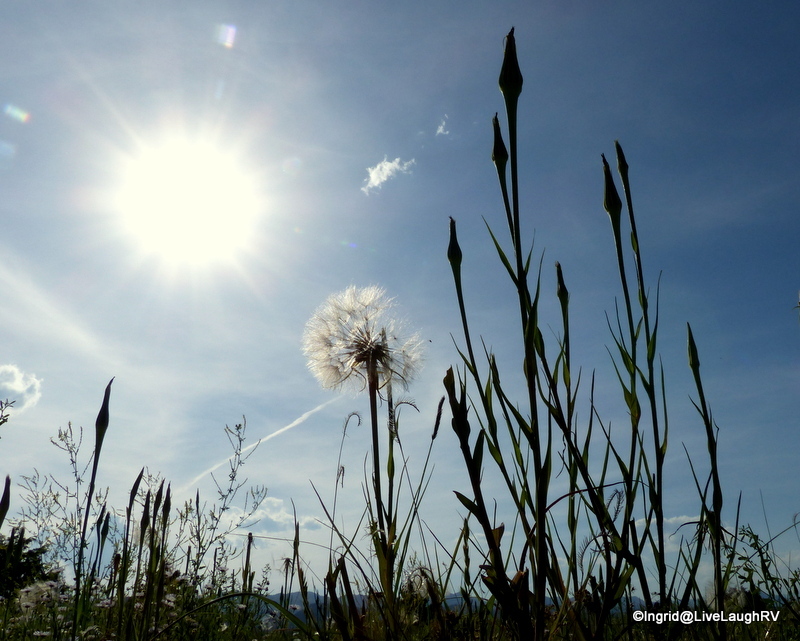 That fuzzy flower with the bright sun backdrop my favorite this post!! What a beautiful state to call home…lv when you write about CO!! Travelling all over the States for 3 1/2 years, that elevation = temperature change thing always caught us by surprise! Crested Butte sounds really wonderful, Ingrid. Thank you for the helpful info, and beautiful vistas, as always. I had always wanted to go to Crested Butte to ski but we never made it so now perhaps we can get out there in the RV and drive those back roads. I would highly recommend a visit to this lovely part of Colorado. It’s too bad you weren’t able to get there for a ski trip. That is one state we have yet to spend time at. 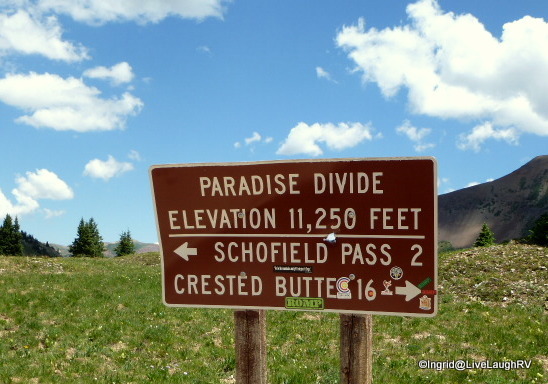 It is definitely high on the list and will have to check out Crested Butte. There’s also good fishing on Blue Mesa Res and Taylor Res. You two would love the area. The rain is definitely hitting some areas hard. Glad we left the Dakotas when we did, only now we are dealing with record breaking heat in Northern Montana. Gotta love Mother Nature. We love your photos and description of Colorado, it is fast moving up our list of must see states. We were curious, in a few months we plan on being near Rexburg, Iowa. Do you have any knowledge of that area? How are the approaches to Yellowstone and the Tetons from that direction? This post is exactly what we need for a future visit to Crested Butte. We read so many wonderful blog post on this area and were excited to head there this summer brfore we changed plans. I will be saving this post for our visit. Thanks for all the great campground info!! We camped Yellowstone in a tent trailer and almost froze as well. Going into it you know it will cool off at night but in the heat of the summer it’s hard to take it seriously. We ended up buying some overpriced tourist blankets to help us out. I was just in Texas… RAIN! RAIN! RAIN! But had a lovely time in San Antonio and the river walk. Sweet, sweet man had a golf tournament so we spent a week in the area. The creeks are exploding rivers. Unbelievable…! The Midwest is also under flash flood warnings as I type away to you. I love those off the beaten path places, but I am too wary of bears to tent camp. When we toured Denali in the school bus we dropped of some tent campers in the middle of nowhere…and we DID see Grizzly bears! Our fondest memories of Colorado were Leadville (for the history) and Cripple Creek..I hear they are now gathering places for “old hippies”…Hey, we might still fit in!! Enjoying traveling through Colorado again with you . Thanks Donna. We had a very close bear encounter while tent camping in northern MN. I don’t fear the Midwestern black bear as much as the bears in the west. They grow BIG out here. As I type this, I smell the familiar scent of hippiness wafting over from a neighboring campsite. Ah, Colorado!!! Colorado has always been on our lists of states to visit and after reading your posts and viewing all the awesome pics we will make sure we get there soon! Looks like we got out of Chatfield just in the nick of time! There must be a limit to the volume of water they can release from the reservoir, it’s too bad they can’t seem to keep up with the crazy amount of rain and snow melt. We too loved Crested Butte and Grand Lake when we visited two summers ago. Absolutely gorgeous country! 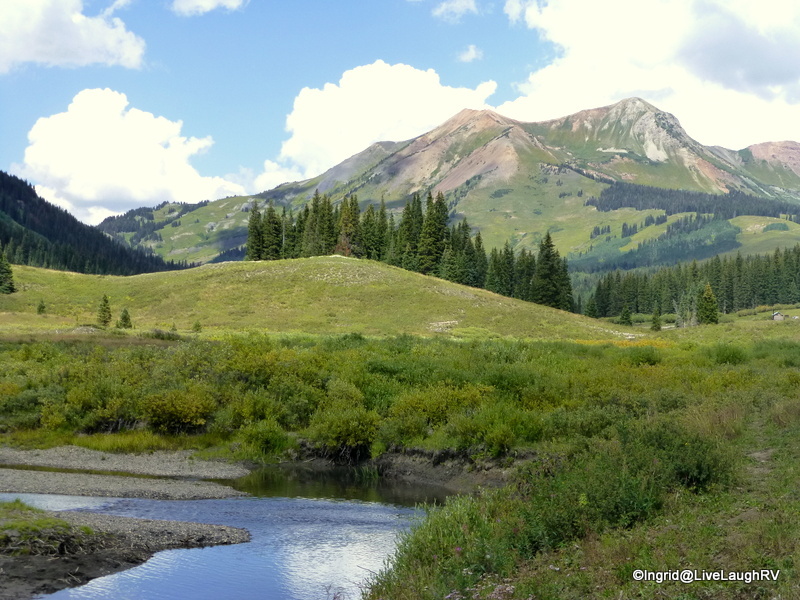 You did some great posts on Crested Butte and Grand Lake sharing their beauty. The swim beach restrooms at Chatfield SP have been totally submerged as well as the bridge over the Platte River. Totally crazy flooding. Not sure when the sewer system will open again. 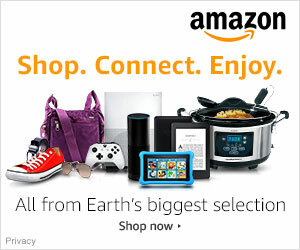 At least we received a refund – difference between FHU vs. electric only. Crested Butte is one of my absolute favorite places in Colorado. The mountains and awesome fields of flowers are stunning. Our first visit, we drove our camper van around many of the gravel/dirt roads. Last summer, we brought Greg’s folks with us and rented a jeep for more exploring. I want to camp at “Oh Be Joyful’ just because the name makes me smile. We stayed at Rosie Lane next to the river. Wanted to stay at Lake Irwin, but it was full. Saw some great Boondocking spots on the way to Tin Cup.